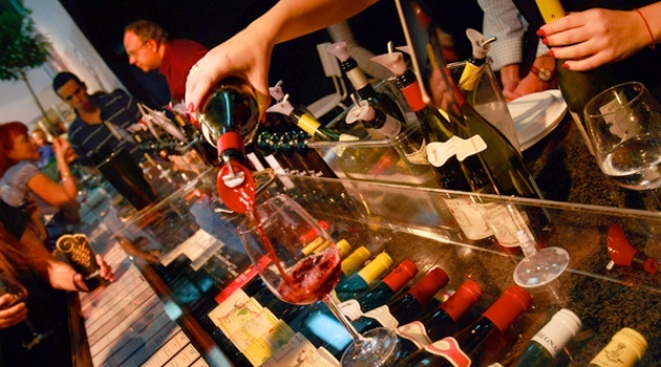 Sample a host of local wines at Brooklyn Uncorked. POP FRESH: Edible Brooklyn magazine curates a night of tippling and tasting with the third annual Brooklyn Uncorked. Sample wines from Long Island (go, locavores!) as you sup on eats from the likes of 718 faves the Smoke Joint, Buttermilk Channel and The Farm on Adderley. BAM, 4-8PM. INDUSTRIAL STRENGTH: The members of rockabilly hustlers Susquehanna Industrial Tool & Die Co. look positively beamed from another era. And their sound? Equally faithful -- expect to transported to a barn dance circa 1958, and not just 'cause Rodeo Bar pours the drinks strong. 10PM. HISTORY IN THE MAKING: Howard Zinn: A Young People's History of the United States sees the likes of Tim Robbins and Stanley Tucci reading portions of the dorm-room reference staple at the 92nd Street Y's. Zinn -- the man, the myth -- will preside. 8PM.